In Korea, some 8-dans have gold-coloured mengane! It's a bit of a "status-symbol", a way of showing off either how wealthy or how skilful you are. When I first saw them I was a bit shocked. They seemed so, well, showy. But then I remembered that many Japanese 8-dans have status symbols of their own, like sam-e dodai, (do made from sharkskin) which is very expensive: usually about $3000.00 from a good Japanese maker. And that's just for do itself! If you click on this image you can see how the do has many little dots. These are the natural texture of the sharkskin. Usually the craftsman who makes it is able to arrange a small line of these dots across the middle of the do as a kind of decoration. 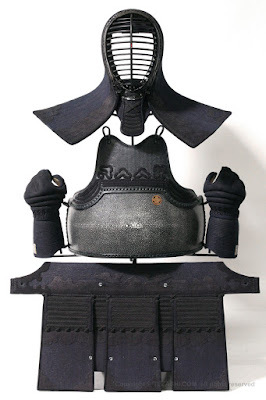 You will also notice that this bogu set (from www.tezashi.com) has black mengane. This is really just a different kind of status symbol. 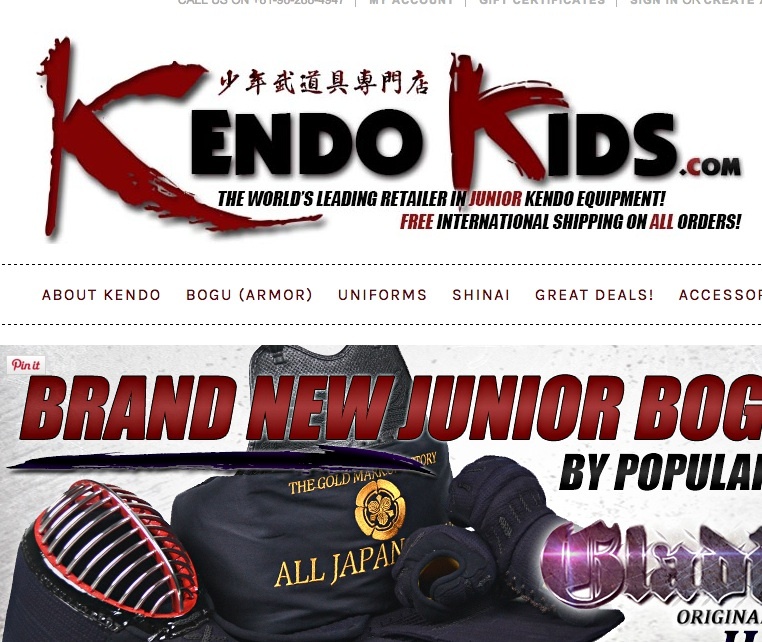 Black mengane have only been made for the last 2 or 3 years, but are becoming very popular, especially outside Japan. 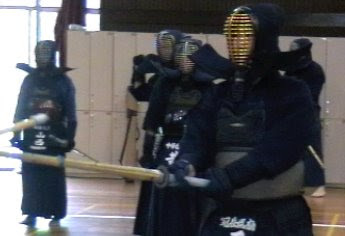 Even though we are taught not to show off in kendo, still people like to own and wear things that are special and that make them feel good. Everyone likes to have new things, and everyone likes to have things that no-one else has. 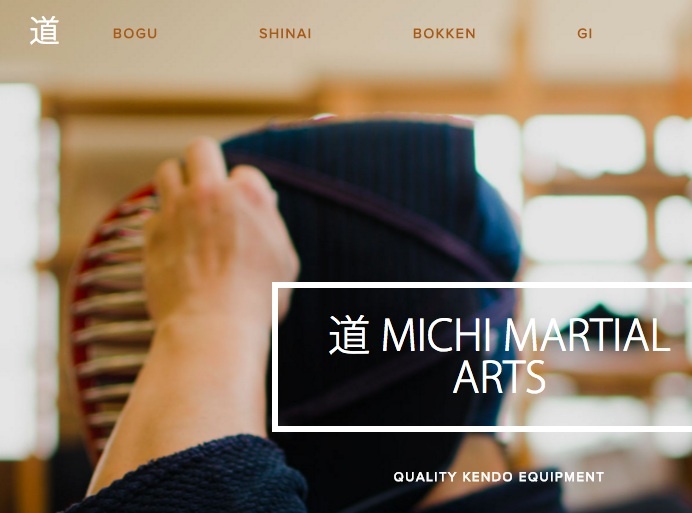 Even in a room of kendoka wearing all blue dogi and bogu, you can see little differences: expensive shinai, coloured tsuba, handstitched bogu, lots of embroidery on the hakama. There are lots of ways people like to stand out. 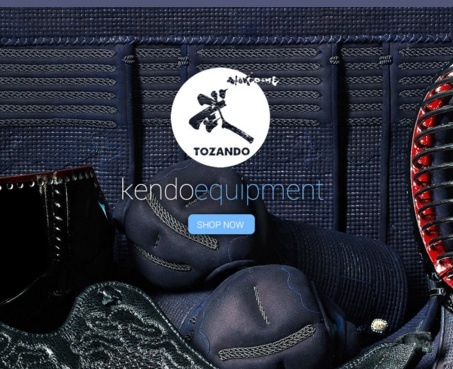 And sometimes having the goal of saving up for a new set of your own bogu can be a really important part of your training, keeping you keen and looking forward to kendo training. So long as you don't become one of those people who trains until they buy their own bogu, then gives up a week later!